Note: This forum is very well moderated and all unwanted content / links are quickly removed. WAS YOUR ACCOUNT SUSPENDED BY MISTAKE? : We have recently installed a software which automatically suspends accounts that post spam, unfortunately it bans genuine users occasionally by mistake. If your account was mistakenly banned, please email us at biotechnologyforums.com@gmail.com and we will un-suspend you. Apologies for the inconvenience caused. RE: Opportunities in computational biology. Staying active on this forum is the key to get help from other members. Help others to get the help you need. Company information, events, latest news, questions and answers. General discussion and articles. 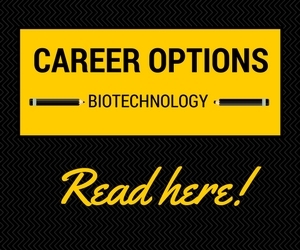 Biotechnology is a technology based on biology, especially when used in agriculture, food science and medicine. General questions about biotechnology. Topics that do not fall in other categories can be discussed here. Articles and Discussions pertaining to various diseases that have/ had affected the living world, are compiled in this section. Add your opinions on various diseases, their diagnosis, research trend and current state of art, here. Genetic engineering, recombinant DNA technology, genetic modification/manipulation (GM), and gene splicing are terms that apply to the direct manipulation of an organism's genes. Gene therapy is the insertion of genes into an individual's cell and biological tissues to treat disease. Cell therapy describes the process of introducing new cells into a tissue in order to treat a disease. Antibiotics, Biofuels, Fermented foods, Ethanol fuel, Acetone and countless other products. Bioinformatics is the application of statistics and computer science to the field of molecular biology. Thoughts about cloning of plants and animals. Stem cells are cells found in all multi cellular organisms. They can renew themselves through mitotic cell division. Environmental biotechnology is when biotechnology is applied to and used to study the natural environment. Share information on various colleges, placements and career advice. New member introductions and miscellaneous topics. Hope4Life is an initiative by BiotechnologyForums to provide a platform for the people in medical/ educational need, but limited by availability of money. We will post a legit story after cross validation, and a fund raiser activity will be initiated for the same. 123 users active in the past 15 minutes (2 members, 0 of whom are invisible, and 120 guests).